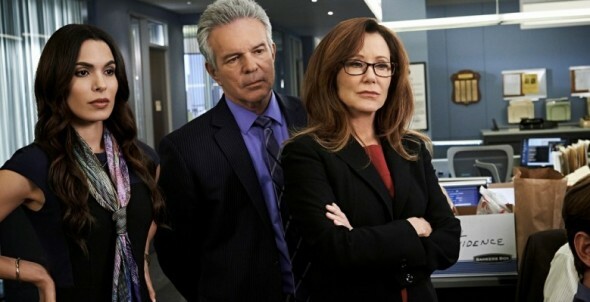 I love Major Crimes. I am so glad they are returning. Keep them coming. I really love this show.I love the way the cast interact together,they are so funny. This show has many more seasons to go. Yes, keep it on. There are so few worthwhile shows with good casts and plots. I truly enjoy the series. Casting is good. I feel they are my friends. I do not like the gay designation for Rusty. I love this series -please keep on going!!! I am hoping for a lot more seasons! I love, love, love this show!!!! Please keep’em coming!!!! LOVE this show. Let’s keep it around for years. Superb acting, story lines. thank you for season 4. I am so glad this show has been renewed…it is my favorite show. I enjoyed the Closer and really like Brenda…Rusty , not so much…but the other members of the cast are great too! I miss Kyra she was really great. Thank you TNT! Amazing series. Glad its coming back. Summer is too long to wait. I love this show. Great casting. The characters are really endearing and the plots are very creative. Thank you for creating this show and for scheduling a 4th season. I was sad when I thought it was over. I hope there will be a 5th, 6th, 7th and more. Keep up the great work. Great series glad it has been selected for a fourth series. I love this series even more than the closer, it has a lot of compassion in it yet it is not sticky sweet. The mystery is still there for the crime solving and the script is intelligent and realistic. It is easy to relate to. It makes you care about the characters. Keep up the great writing and I love the interaction between Sharon and Rusty. I look forward to it!